Sandford Fleming building at University of Toronto, 10 King's College Rd. 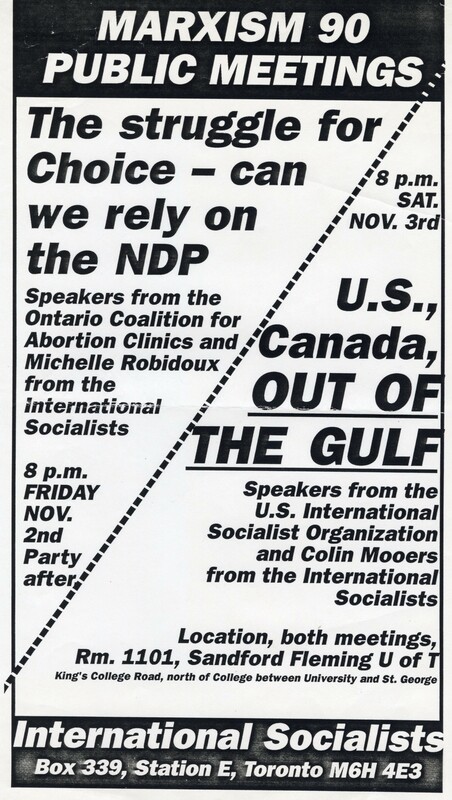 The first event was titled "The Struggle for Choice - can we rely on the NDP" and included speakers from the Ontario Coalition for Abortion Clinics and Michelle Robidoux from the International Socialists. 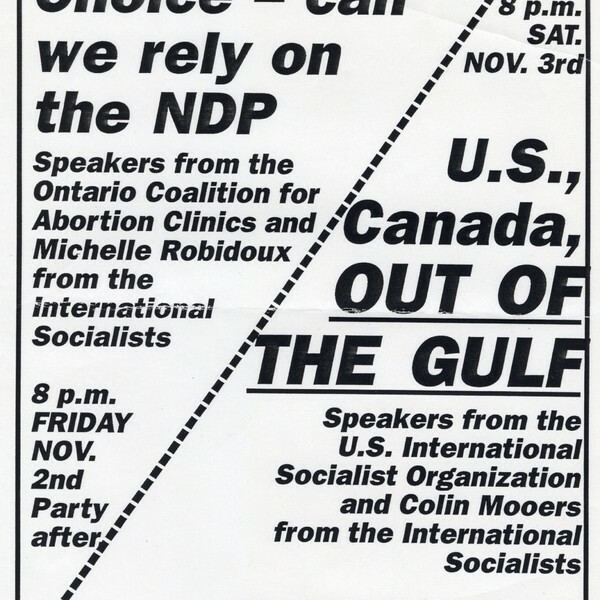 The second was titled "U.S., Canada, Out of the Gulf," which included speakers from the U.S. International Socialist Organization and Colin Mooers from the International Socialists. International Socialists, “Marxism 90 Public Meetings,” Alternative Toronto, accessed April 26, 2019, https://www.alternativetoronto.ca/archive/items/show/476.